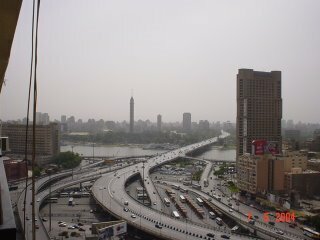 Wonderful panoramic views of Cairo for fabulous pictures. 1- Book room for 2 nights and get free airport pick up. 2- Book room for 5 nights and get free airport pick up and free Tour to the Pyramids. 3- Book room for 7 nights and get free airport pick up & drop off and free tour to Pyramids. More than 2 Nights booking you will get airport pick up Free. 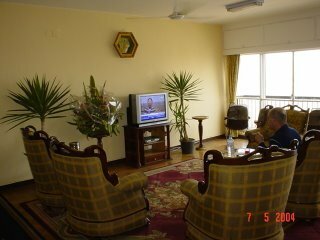 We have rooms with bathroom & A/C & satellite T. V and fridge (7 rooms). Single Room with bathroom & A/C & Satellite T. V costs 25 Dollar; Single Room without bathroom (with fan) costs15 Dollar; Double Room with bathroom & A/C & satellite T. V costs 30 Dollar; Double Room without bathroom (with fan) costs 18 Dollar. Triple Room with bathroom & A/C & Satellite T. V costs 33 Dollar. 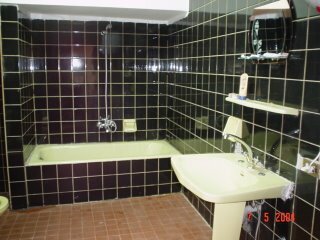 Triple Room without bathroom (with fan) costs 22 Dollar. Room with 4 Beds with bathroom & A/C & Satellite T. V cost 40 Dollar. Room with 5 Beds with bathroom & A/C & Satellite T. V and Fridge cost 45 Dollar. 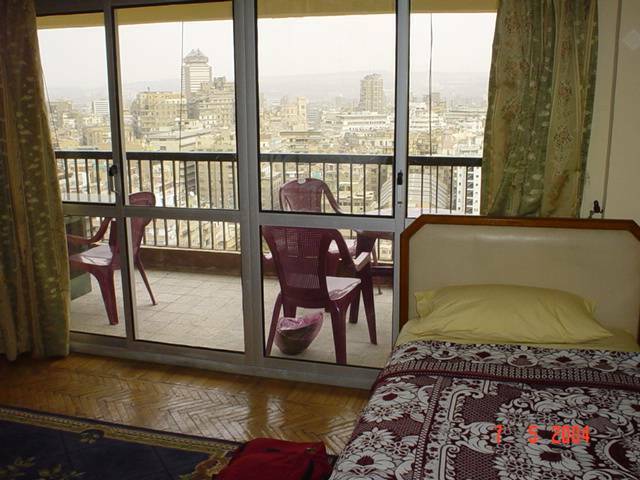 We have rooms with Nile river view and other rooms have the old Cairo view. Special offers 1- Book room for 2 nights and get free airport pick up. 2- Book room for 5 nights and get free airport pick up and free Tour to the Pyramids. 3- Book room for 7 nights and get free airport pick up & drop off and free tour to Pyramids. 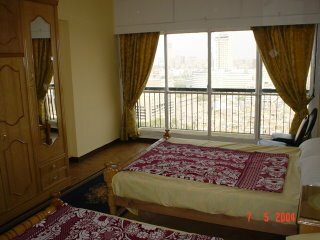 All our rooms have balcony and nice view, Some rooms have Nile view and another rooms have Old Cairo view. Special offers 1- Book room for 2 nights and get free airport pick up. 2- Book room for 5 nights and get free airport pick up and free Tour to the Pyramids. 3- Book room for 7 nights and get free airport pick up & drop off and free tour to Pyramids. Ramses Street is one of the main streets in down town, so is easy to locate. 5 minutes walk to Egyptian Museum. 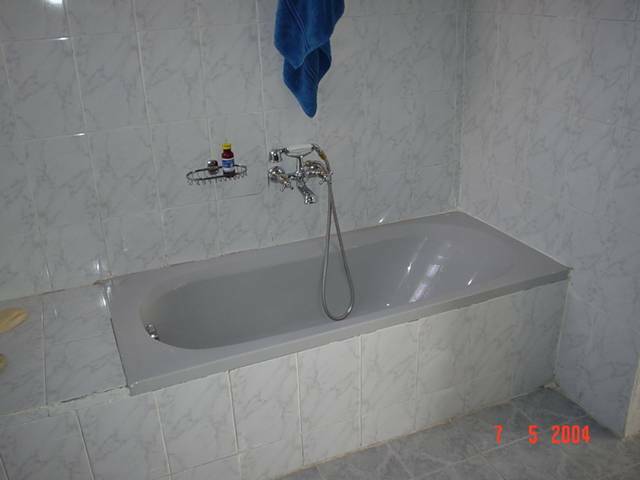 3 minutes walk from Abd El Maniam retad Square. Conviently located for shopping and restaurants. Our policy for the payment is that you have to pay in advance ( when you arrive to the hotel ). Our cancellation Policy is to inform us one day before. Nearest Metro Station : Nasser Station : We are only 5 minutes walk from here, Just off Tahreer Square. The hotel is situated approx 200M from the cairo Museum. Nearest Metro Station : Nasser Station : We are only 5 minutes walk from here, Just off Tahreer.